European PS suppliers approached their local markets with rollovers to slight increases regardless of the unexpected fall in the January styrene settlement. Adopting a similar pricing policy, one of the suppliers raised its export PS offers to the nearby Turkish market. According to statements on the companies’ websites, Ineos and Trinseo revealed their January PS offers with respective increases of €10/ton ($11/ton with the recent parity) and €15/ton ($17/ton) effective as of January 1st. The producers applied increases for the first time following double to three-digit decreases in the past 2-3 months. 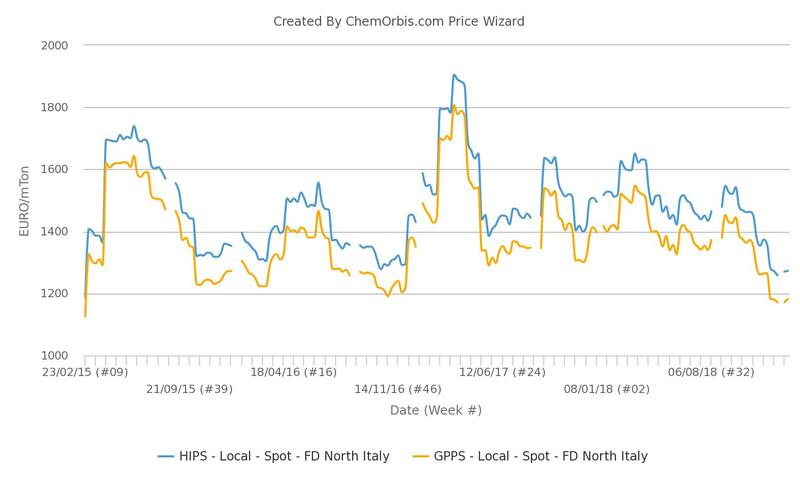 After following a mostly downward trend in the past three months, the weekly average of spot PS prices both in Italy and Northwest Europe reached their lowest levels not seen since February 2015, according to data from ChemOrbis Price Index. According to players, sellers aim to put an end to the downward trend following 3 months of steep declines with support from limited availability and expectations for better demand. Some PS suppliers across Europe closed their order books earlier than usual in December, which resulted in a disruption for converters who were aiming to restock ahead of the awaited January hikes. This along with delivery disruptions within the region left most buyers with low stock levels. A player affirmed that the most recent low ends started to fade due to their limited allocations. Will sellers’ initial hikes gain traction in January? It remains to be seen whether some suppliers’ initial hike attempts will be workable or not, according to some players. Some distributors reported being confident to pay rollovers at the end of negotiations, pointing to their customers’ restricted needs. 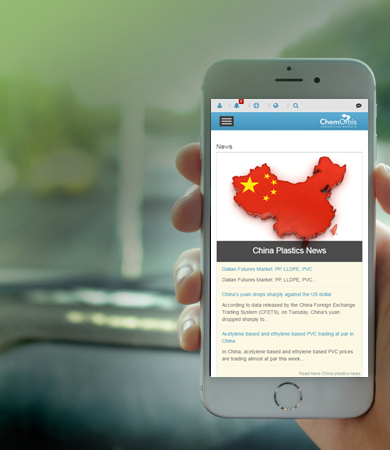 Rollovers might be the most probable outcome in January amid the opposite pressures from limited supplies and slack demand, a food packager argued. How will the ban on single-use plastics affect disposable businesses? Players are also evaluating the possible impacts of the imminent ban of single-use plastics as it points to a reduction in consumption in the longer-run. Under a provisional agreement of the EU, cutlery, plates, straws and cotton bud sticks made of plastics will be banned starting from 2021. Products made from oxo-degradable plastic, as well as food and beverage containers, and cups of beverages made of EPS will also be banned.